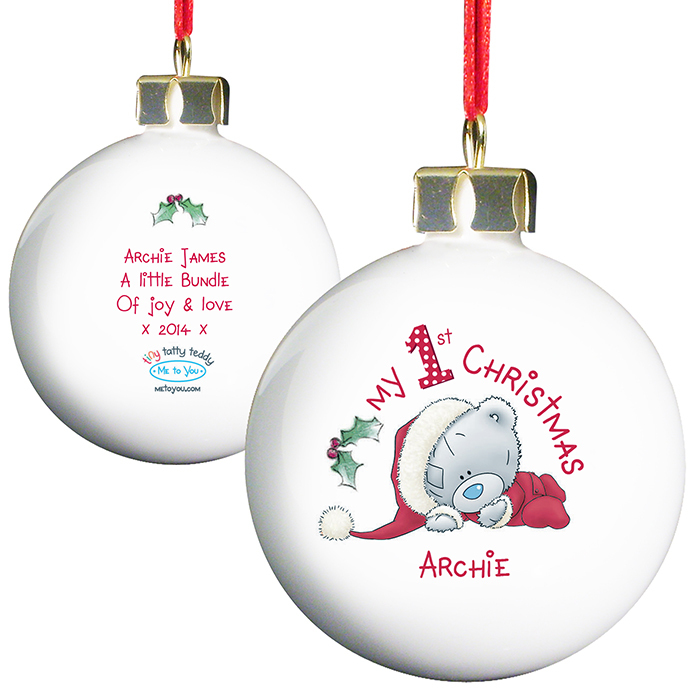 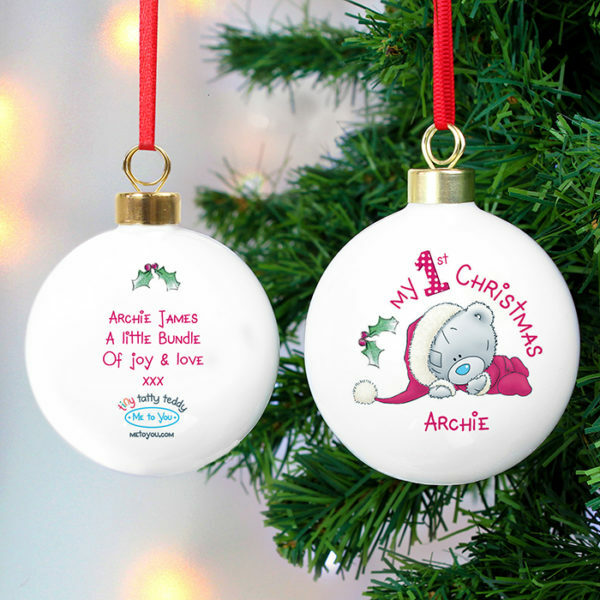 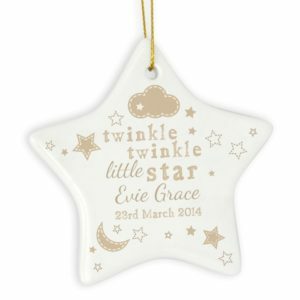 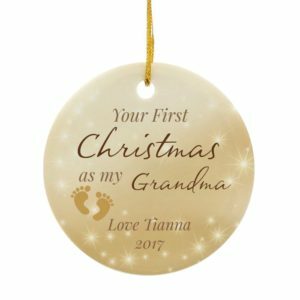 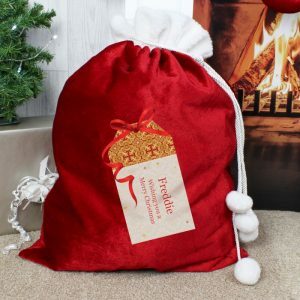 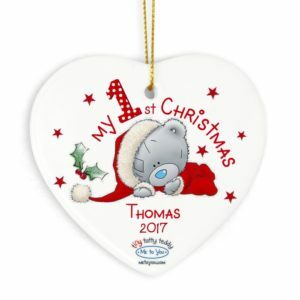 Personalise this ‘Me To You’ My 1st Christmas bauble with a name up to 12 characters on the front and a message on the back over 4 lines of 20 characters per line. 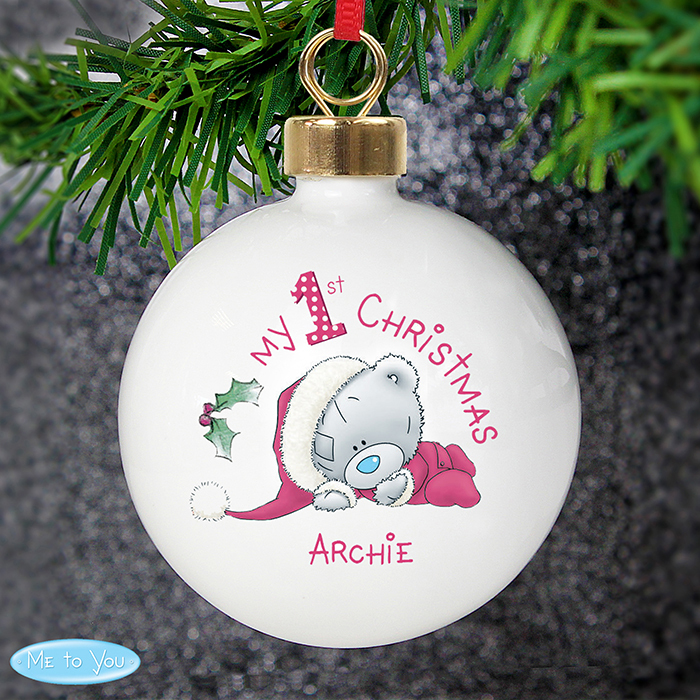 Just add the personalisation details to the notes section at the payment stage. 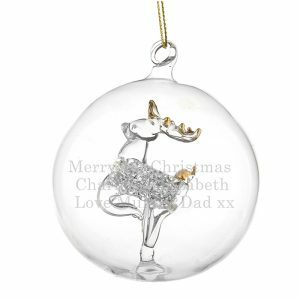 Bauble comes supplied with a ribbon ready to hang straight onto the tree. 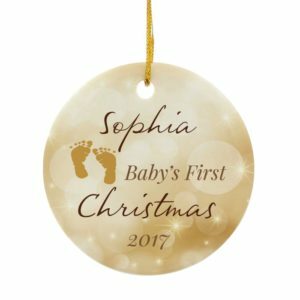 The colour of the ribbon may vary.